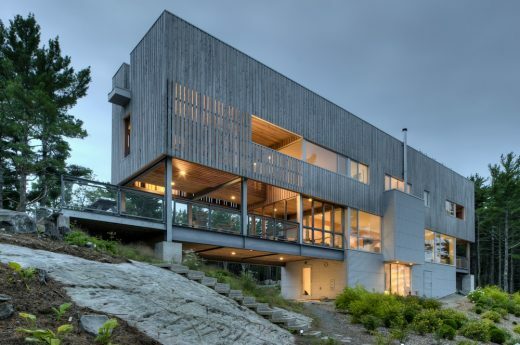 Contemporary Canadian Building – design by Piskwepaq Design Inc. The Pictou Landing Health Centre building wraps around the central space of a Mi’kmaq First Nation fishing community in coastal Nova Scotia, Canada. The building houses clinics and consultation rooms, together with a community meeting space. 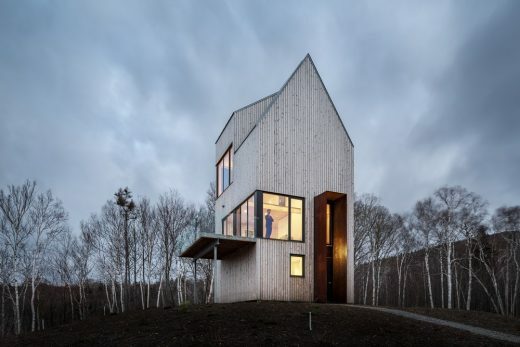 The structural system uses local small diameter spruce trees, shaped while green by members of the community. 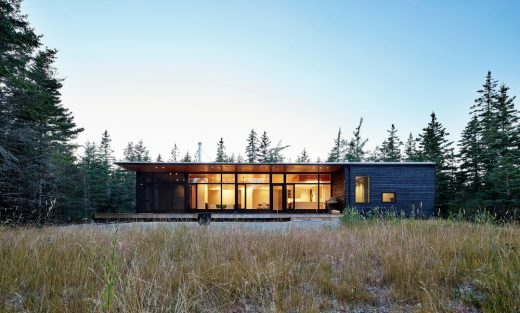 The use of material draws on the historic indigenous tradition of long house and lodge construction. Heating and cooling is provided using geothermal energy from a local decommissioned municipal well water system. 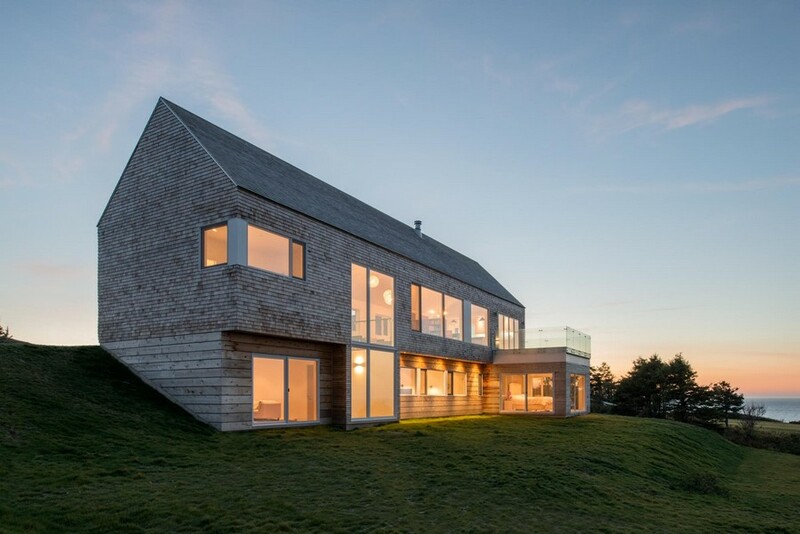 This strategy, together with heat recovery ventilation, high levels of insulation, earth berm and mass heat storage have made the building operate at 43% higher energy efficiency than a conventional building of comparable size. Mechanical Engineer:Tom Watson, CBCL Ltd.